When you play World of Warcraft by yourself, you may misjudge either your game level or some aspects of the game that you think are not important, yet they are crucial in becoming a better PvP or PvE player. If there is nobody to give you a meaningful advice on improvement of your performance, you may be stuck for a very long time struggling to become better for hours. And that is the exact moment you should face our PvP coaching services or PvE coaching services. PvP means constant concentration and ability to solve unconventional situations that arise more often when you climb the ladders. Without a dedicated PvP personal coach, you may struggle to notice your mistakes, so you will be forced to repeat them time after time, which will prevent you from getting better fast. Our WoW PvP coaches are the best of the best, top Gladiators of this game, who will provide you with the most valuable feedback ever. 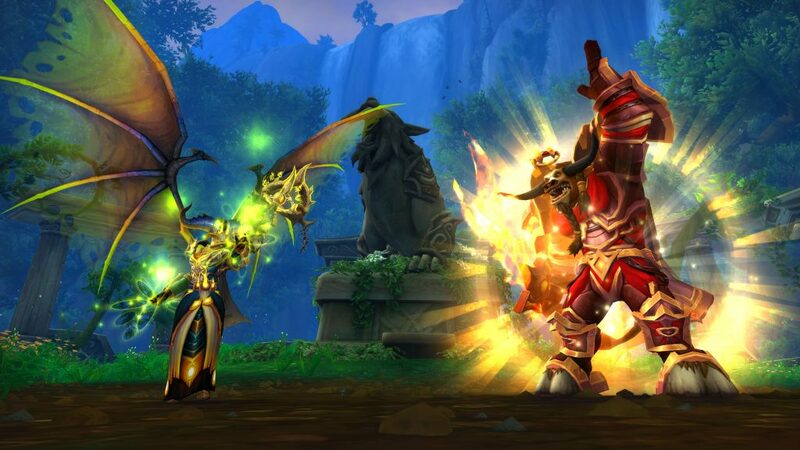 If you are making your first steps in WoW PvP aspect, you will be offered to get a general understanding of your character, its pros and cons, game mechanics and balance nuances. Should you already be a next-step player, you will become acquainted with tactical knowledge of your class and general playstyle depending on your enemies and you play style. They will fix your build and explain to you what are the correct choices to be made playing in the setup you choose. Besides, you will be taught a full set of class tricks for your class that let outperform other players and become a PvP beast. You will also receive an in-depth analysis of your actions and your rotation, so you could amend them depending on the actions of other players. Finally, the most important, you will get that very piece of experience you had been struggling to achieve without our arena coach or RBG coach. However, if you are a PvE-oriented player, we also have our WoW PvE coaches ready and willing to share their knowledge with you. Up-to-date PvE content is hands down a very challenging part of the game, so you may have your reasons to become better in it. Sometimes, you just need an extra boost in your experience to become a better player, to be accepted in a great PvE guild (or not to be kicked out of your recent one) and just the best gear is not enough. That is when you should get our WoW PvE coach for your character, and you will be taught everything you really wish. The invaluable pieces of advice from the best pro players will let you optimize your gear and your talents, amend your rotation to make it over-the-top and just get a deep comprehensive knowledge of what PvE system in WoW really is and how you can beat it with its own means. And after you become a great PvE player, you may also would like to get our other wow boost services, cause, you know, not everyone will be as good as you from now on. Our WoW boost and coaching services are the opportunity for you to become very good in the game you love without spending literally hundreds of hours in vain trying to figure out everything yourself, and for a very moderate price. So, just place an order and stop making the same mistakes over and over again.